Nonsmoking women who were exposed to secondhand smoke as children may have an increased risk of a miscarriage, a Chinese study suggests. 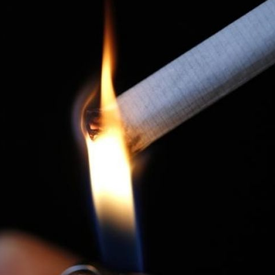 Although they had never been smokers themselves, women in the study who lived with two or more smokers as a child had a 20 percent higher risk of miscarriage, and those who were exposed to smoke five or more times per week had a 14 percent greater risk of losing a pregnancy, compared to women not exposed to secondhand smoke in childhood. Nonsmokers who grew up with one smoker in the house, or were around smoke less than five times per week, didn`t appear to have any change in their miscarriage risk. "Our findings support the enactment of stringent national smoke-free laws and strict enforcement in China, and promotion of smoke-free homes to protect children, as well as the need for campaigns to change social norms of smoking and passive smoking," the authors wrote in Tobacco Control. Shanshan Yang, a researcher at the Institute of Geriatrics at the Chinese PLA General Hospital in Beijing, and colleagues analyzed survey data for almost 20,000 women age 50 and older who live in Guangzhou, China. About 57 percent of the women had been exposed to secondhand smoke during childhood, that is, before age 18.